Earlier today, a major update for Rocket League dropped on Switch. Though Psyonix did share a ton of official patch notes, players have come across something that wasn’t mentioned. 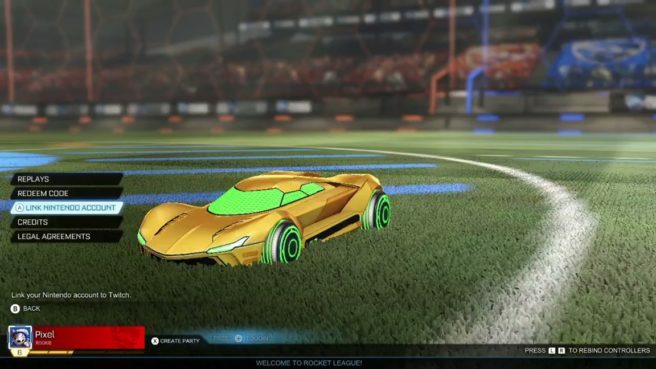 The Switch version of Rocket League how has an option to link your Nintendo Account to Twitch. The thing is, it doesn’t work as of now. You’ll be presented with an error when attempting to connect to an account. The message “Failed to Connect With Nintendo Online Service Servers” appears. Some folks are speculating that the link could be tied to Rocket League Fan Awards, which would make sense. However, we don’t have official confirmation at present in large part because the link is broken currently. If we receive additional information, we’ll let you know.